We Take Care Of All Your Bathroom Plumbing Needs In SW20. Your Kitchen Is Very Important. Our Plumbers In Raynes Park Are True Experts. Are you looking for trusted local plumbers in Raynes Park (SW20)? Trustworth is a reliable local company that provides specialist plumbing work. You should expect the highest standard of service from us. From the second we arrive until we leave, we will really impress you. You will join our long list of very happy customers. We also provide specialist services for landlords and businesses. Our Raynes Park plumbers are hard-working professionals who work with absolute precision. We always perform a very thorough job indeed. Trustworth Plumbing is always contactable if you need our emergency repairs service (24 hours a day). From expert installations to general services or repairs; our team has the skill set you are looking for. Here is a question for you. Do you understand why it is important to use a fully qualified engineer? All work has a set level of professionalism that needs adhering to. That can only be achieved if you have expert knowledge. Otherwise, mistakes will happen and as a result of that, property damage may occur. Our engineers have years of expert knowledge. They also incorporate the latest technologies that give them that extra edge. Our company inspires confidence that the job in hand will be done correctly. The area is unique; it is part of South-West London. You'll even find golf courses there. It spans across one borough (Merton) which our company covers. Trustworth provides a dedicated 24-hour service. If you need the most trustworthy and friendly plumbers Raynes Park has, then consider using us. Our reliable plumbers in Raynes Park are fully qualified to manage all plumbing tasks. This includes fitting or fixing toilets, stopcocks, taps, showers, baths and fixing burst pipes. Are you a local landlord looking for property management services in SW20? Our plumbing management and maintenance options give you the perfect solution you are looking for. Our company has the know-how to manage any style of property. All future safety checks, repairs or servicing are managed by us; giving you peace of mind. Trustworth believes every plumbing company needs transparency when it comes to pricing services. Are you desperately looking for cheap local plumbers who won't mess you about? Also, do you want to know how much it costs for a plumber in Raynes Park? All our standard jobs are priced at £75 per hour. Extensive plumbing work obviously requires an initial visit by our team to provide a quote. Interesting fact: the area has more than one nature conservation. If you ever experience a plumbing emergency in Raynes Park, call us now. You can depend on our fast response engineers to visit your property to help you. Our 24-hour quick response is vital to help potentially stop damage to your property. We have a special out of hours phone number you can contact us on, which is 07951538977. It enables you to get in touch with us any time of the day and outside normal business hours. 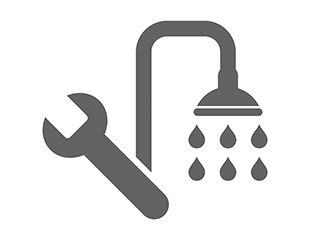 Our Raynes Park plumbing specialists provide high-quality repairs. Our aim is to hopefully cut down any future repair costs you may encounter. Trustworth will do its' very best to respond quickly to your call. We may offer concise advice over the phone if it's possible to do so. Our 24-hour emergency plumbers in Raynes Park will be on their way to meet you. We respond to your emergencies, any time of the day, including weekends. 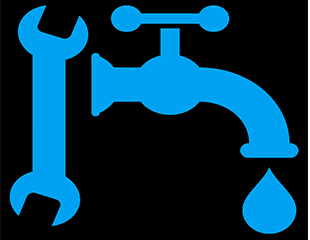 Call us on 020 8670 4443 or 07951538977 for all plumbing repairs, installations or servicing work in Raynes Park. Trustworth cover South West London at very competitive prices. Our local plumbers will install or repair sinks or taps with precision. We also provide professional installations of new showers, baths, new pipe work and water tanks wherever needed. When we carry out any general task, we carry it out with complete dedication to conducting the best work possible. Landlords in Raynes Park always choose our services for property management because we are 100% dedicated. We fit new baths, toilets, sinks, basins, taps and showers. It is possible to fit all types, with even your favourite manufacturer incorporated into your visual ideas. Are you experiencing problems with a troublesome build-up of sink waste? We can easily fit new sink macerators, as well as deal with badly blocked drains. Our plumbers also provide a washing machine and dishwasher installations service. Whatever plumbing task completing in your bathroom or kitchen - call us. When it comes to finding out the cost of plumbers in Raynes Park, you can spend hours searching online. It is always advised that you search for a trusted local plumbing company. One who definitely has an honest pricing system. They should state their price per hour or rate clearly. If there are other costs, those should be obviously clearly stated. Our prices are always easy to understand. 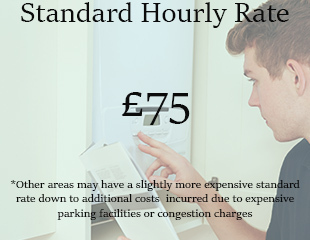 We charge £75 per hour for all standard plumbing work in Raynes Park. Our plumbers take real pride in all their work and are very precise..